So my hatch won't stay closed/locked. I took part the plastic trunk piece, got to the actuator, and it just looked like the wheel on the bottom right was jammed. Now it spins free. 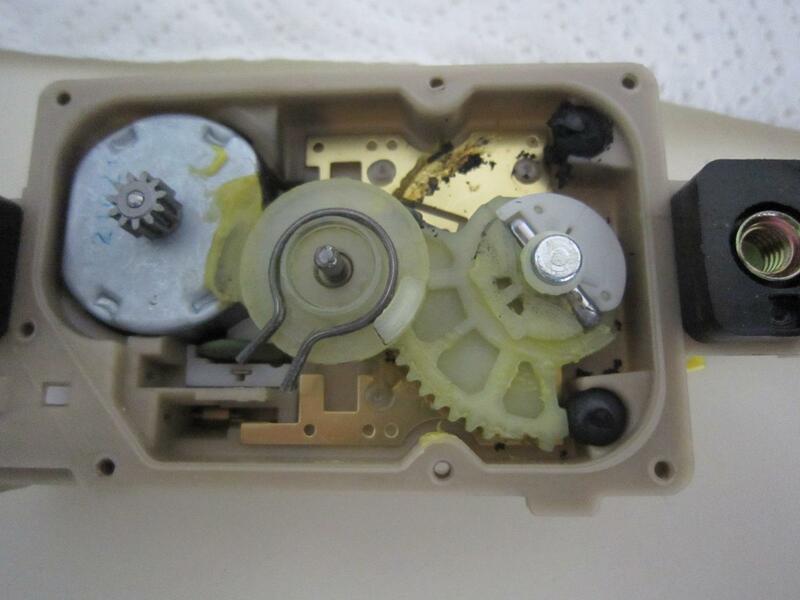 However, I dropped the actuator while popping it open, and the internal pieces fell out. I want to make sure I am putting the pieces together correctly before i screw everything back in and it doesn't work. I attached a pic of what I am looking at, I am concerned about that metal horse shoe looking thing. Where does it go and how do I know I put it in correctly? When I move the metal arm piece with everything in, the top wheel doesn't spin correctly(the top wheel goes on top of the metal thing im assuming). I don't think I am putting the metal piece in correctly. Thanks! Thats the pic of the top wheel. 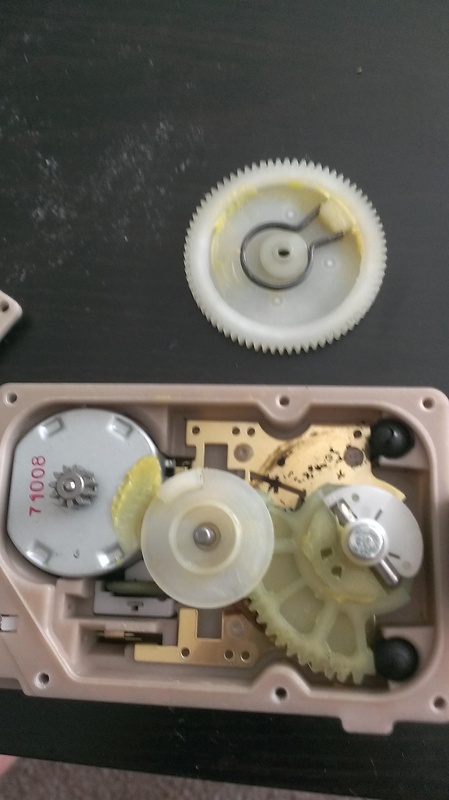 That is its underside, how do I set the metal piece in between the two yellow pieces? Last edited by stevehl; 07-09-2013 at 05:09 PM. Quick Reply: HELP!! Trunk won't close!